Getting ready to sell your house? We asked our global Coldwell Banker network for their best advice for those prepping their homes. Check out what they had to say. “Get the home inspected and address any necessary repairs now before it becomes an issue during negotiations.” says Susan Heckman, Marketing Coordinator for Coldwell Banker Residential Brokerage. At the same time you should also check with your town to ensure there are no open permits on your home. Believe me, I know how scary the word inspection is but this is one of those things that will hang over your head until it gets done. Make the appointment and get it off your mind now. The first impression of your home is incredibly important. Buyers who have the ability to do a “drive by” will and if what they see on the outside doesn’t look good then chances are they are going to skip on checking out the inside. Stand in front of your house and determine what areas of your front yard and home look tired. For some it might just require quick fixes. 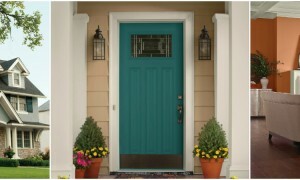 For example, “a quick coat of paint will make your entrance sweet and inviting” says Teresa Congioloso with Coldwell Banker Pryor Realty, Inc.
Whatever it is that your home needs start thinking about it now. 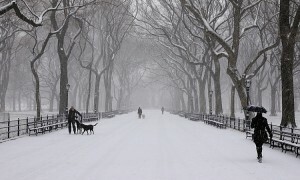 “Start clearing away the outside from any winter debris. Getting the home ready for a beautiful spring yard takes time, and shouldn’t wait until its already spring to start” says Lauren Lehr from Coldwell Banker Conroy Marable Holleman. Once you do the work have your real estate agent come over and take the listing photos, that way your hard work is captured on camera and your home is presented to potential buyers at it’s very best. Pay attention to every detail from small things like the mail box all the way up to your landscaping. 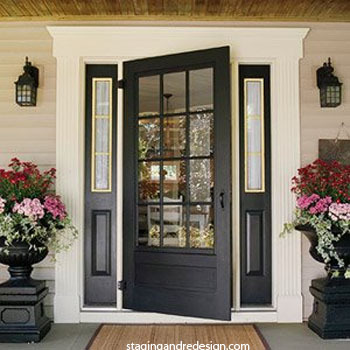 Here are some ideas on how to improve your curb appeal for less. Take this time to swap out your seasonal decor. For example, put away the heavy blankets and bedspreads, swap out boot trays for throw rugs and consider adding some bright floral arrangements. 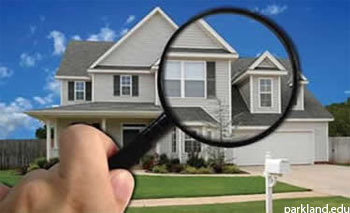 “Remove the clutter, potential buyers for your house need to be able to visualize it as their home. By removing a few items of furniture you don’t necessarily need, some extra kitchen appliances from on top of the counters, and pictures. As strange as that last one sounds, your buyers don’t need to feel as though the eyes in the pictures are watching them!” says Scott Vinson II with Coldwell Banker Royal Realty. 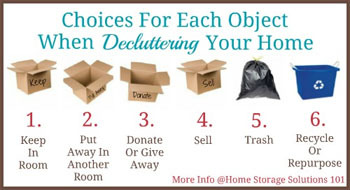 As you declutter, you can pack away items you won’t need until after your move and donate or trash things you no longer want. Painting is one of the best things you can do to prepare your home for sale. According to HomeGain’s Prepare to Sell 2009 national survey, the average price to paint interior walls is $500 to $750, but that increases a home price by an average of $1,500 to $2,000 — which can be a 250 percent return on investment. “Don’t be afraid to use color” say Matthew Rathbun from Coldwell Banker Elite While neutrals are the safe route to go, nice flat colors and accent walls give a home character. Gray has becoming an increasingly popular trend as well. Imagine walking into a home smelling last night’s dinner, seeing mold on the bathroom tile and pet hair dust balls the size of desert tumbleweeds? Yuck! A clean home will help your home sell much faster. If getting down and dirty just isn’t your thing then you can always hire someone. If you plan on doing it yourself, “remember the small details like based boards, door trim and light switches” says Lisa Heglar from Coldwell Banker Sea Coast Advantage. We also suggest getting your carpets professionally cleaned. Unless you are a professional interior decorator, staging your home will not come naturally. Check out what hundred of other homeowners just like yourself have done to make their homes “market ready” by browsing through these thousands of photos. We know it is up to you to choose a real estate agent but at Coldwell Banker our mission statement says it all “We strive to be the trusted source of innovating real estate solutions, creating exceptional experiences for all we serve.” If there is anything we can do to help you, from additional advice on prepping your home to providing you with a Comparative Market Analysis, just reach out and ask.